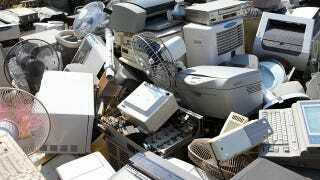 Do You Hold On to Your Old, Outdated Gadgets? Usually, an upgrade brings you more power, more functionality, and a generally more useful machine. But, sometimes, the thing we love most about a gadget—say, its ability to play a certain game—gets outmoded, the game fading away into MS-DOS obscurity. Like it never existed. If you're smart and lucky, you've saved your old gadget and are able to still use it along side your latest model. Do you save yours, and if so, why? Do you ever end up using them again?